Dogs are our true companions and we always look to own one. There are numerous things to do with our pet. They help us in various ways. 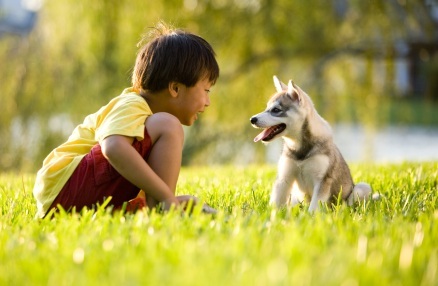 From keeping our mood right to easing stress, these furry friends bring joy in our lives.When you get a new dog or puppy, you always try to do all the things that will please him. You think if your dog could talk and tell what he likes or not. Think! your dog talks – how you would feel about it. It’s amazing and wonderful when they talk to us and share their views. Thank you for making me part of your family. I need little time to be comfortable with family members and the surroundings. Everything is new for me and I have to know what will be the routine of my normal day. You need to introduce me to all the family members in the house. It includes other pets also living in the house. As my identity, I need collar with an I.D. tag. This tag should include your phone number, my name, your name and address. I need to be given regular shots of vaccines. I can skip them, but it will end up taking me to a vet. You can avoid this and save few of your bucks. If I am a puppy, give me regular treatment of dewormers. Worms in puppies are very dangerous and cause severe health issues. I love food you are giving me but take care to provide me healthy nutritious food. This will help me stay healthy. Please give me food in small portions. Overfeeding may upset my stomach. Be careful not to throw those table meat scraps or any sweeties over me, though I look at you with tongue dropping and wagging tail. You did provide me comfortable shelter. However, clean my bed regularly. Make sure to change the interior according to the season especially during winter. Keep my water bowl in a good place away from garbage. The water in bowl need to be changed every day. Provide me fresh water free and check bacteria is not growing in my bowl. Start training me once my vet gives you a green signal. This will help me adjust to new environment easily, and I don’t get bored. Like you, potty training is also important for me. I might not know the right place in your house, as it is different from my previous shelter. Regularly guide me to go to the right place by praising and pampering me.